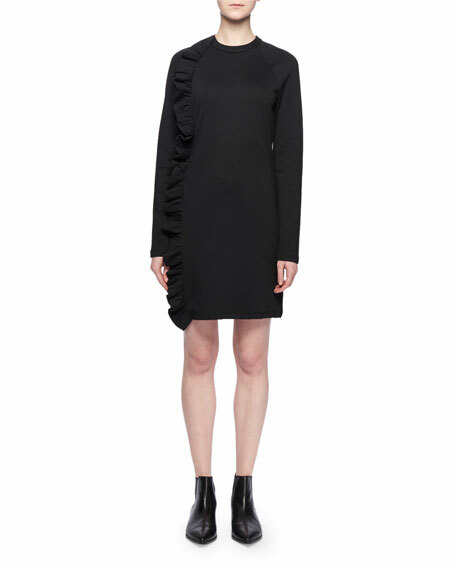 Victoria Victoria Beckham chemise jersey dress with cascading ruffle. With her brand spanning across multiple apparel lines, accessories, eyewear, and denim, Victoria Beckham can now add successful fashion designer to her résumé. Her debut Victoria Beckham collection, which showed in 2008 to critical praise, had critics and celebrities clamoring for her body-conscious dresses and ultra-sophisticated tailoring. 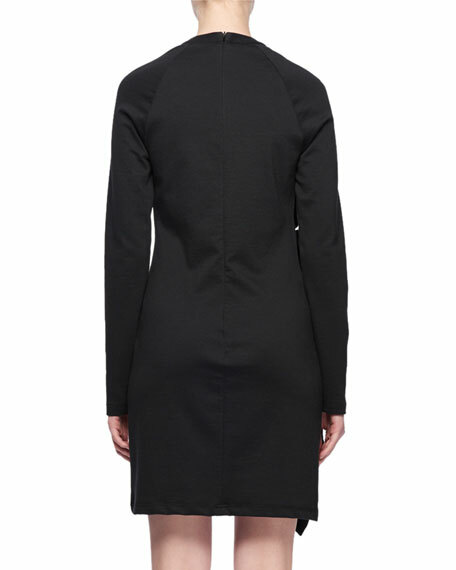 A second line, Victoria by Victoria Beckham, channels Beckham's softer side with easy day dresses and comfortable silhouettes. With an acute understanding of what the modern woman wears, Beckham designs with confidence and without regard to fads or trends, winning Designer Brand of the Year at the 2011 British Fashion Awards. For in-store inquiries, use sku #2701203.